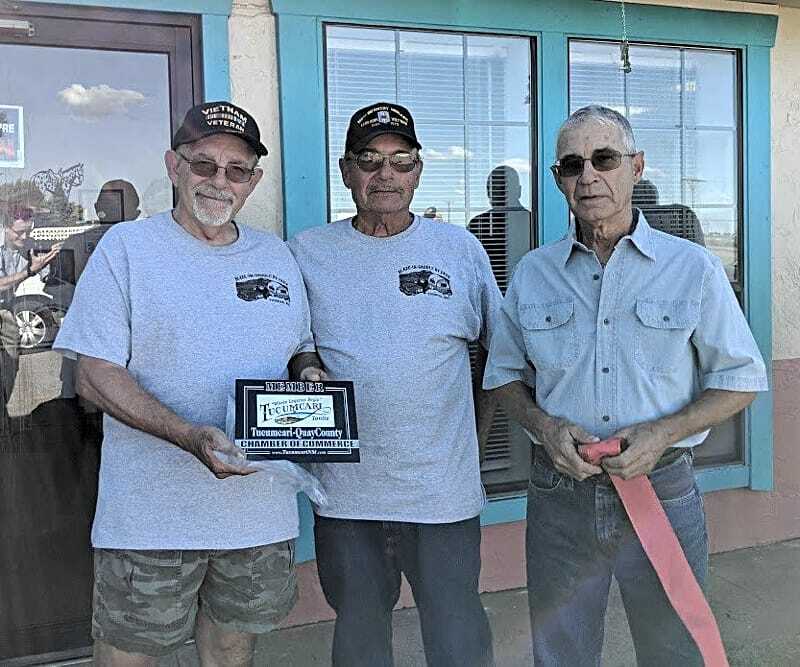 When the Castelli brothers bought the Empty Saddle RV Park on Tucumcari, N.M.’s east side in April, one of the first things they did was change the name, according to the Quay County Sun. That’s because the facility since 2009 mostly had lived up to its name — empty. 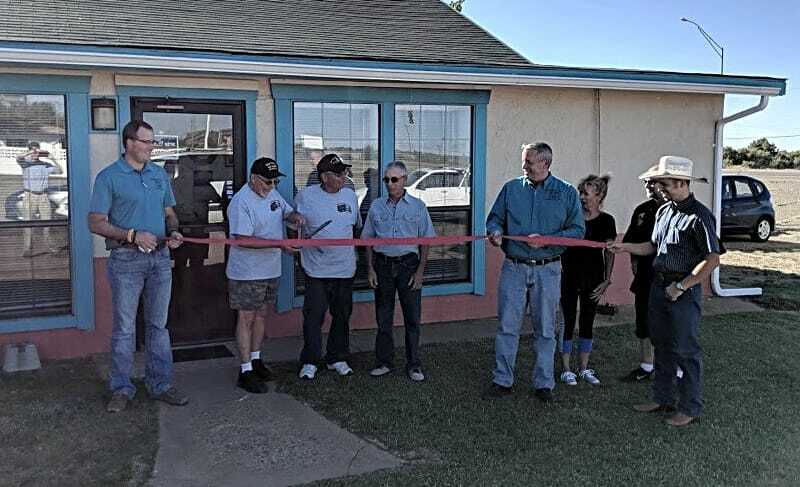 So a ceremonial ribbon-cutting Friday (Sept. 14) by the Tucumcari-Quay County Chamber of Commerce served more as a celebration, the long-moribund site — now the Blaze-in-Saddle RV Park — had been revived. 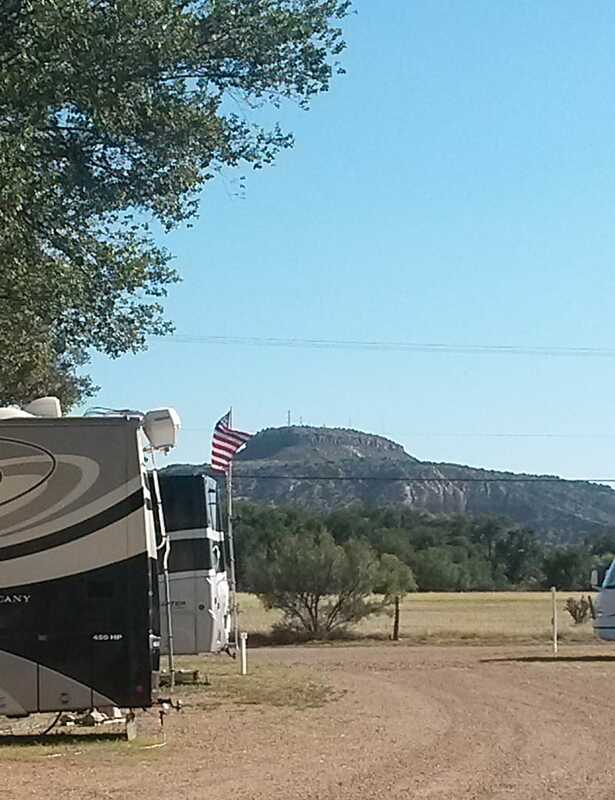 Silvio Castelli, who’d lived in Nevada in the construction and X-ray technician field before moving to Tucumcari in the spring, said the RV park had been “in disarray” when he and his brothers acquired it. Mike, who’d been in construction and hospital management, and John, a former schoolteacher, both came from California. Since their acquisition, the brothers have remodeled the laundry room, bathrooms, dressing rooms, office and added a new pet area. 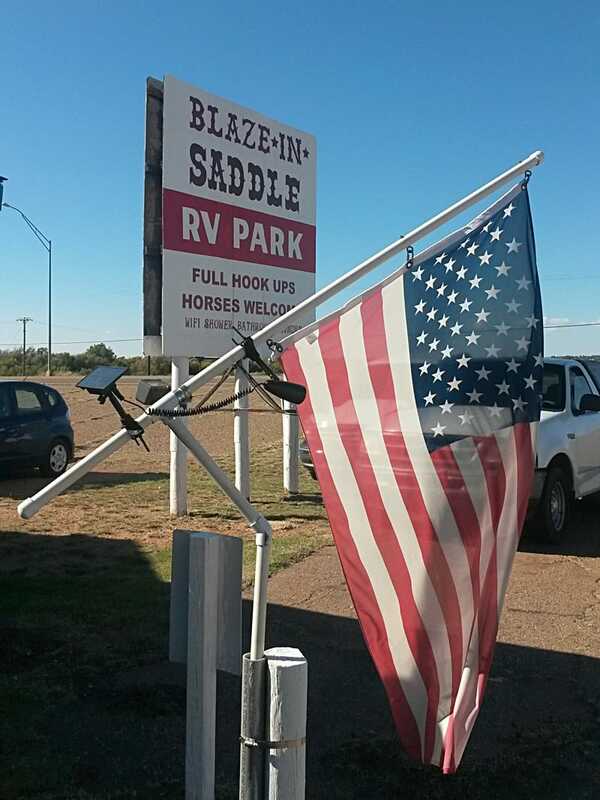 The Blaze-in-Saddle can handle up to 50 RVs. On the west side of the grounds are four corrals that can handle up to eight horses for their guests. 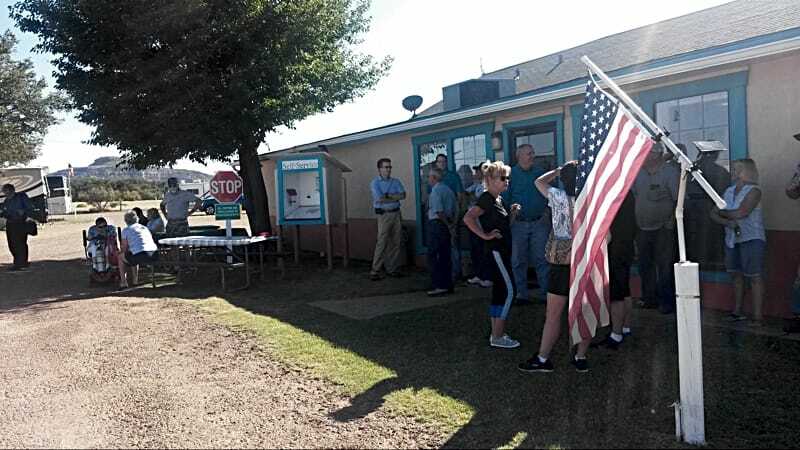 Silvio Castelli said shortly after they reopened the RV park in April, one of their first clients was an Oklahoma veterinarian who “gave good advice” on what to do with the facility. Since then, Silvio said business at the Blaze-in-Saddle has been “better than we thought,” and customer ratings have remains consistently high. Silvio said he and his brothers plan to repair the main building’s roof. They also would like to make the facility more family-friendly and are considering the addition of a pool, a recreation room and a pergola.